In my homeland of Japan, it has been reported that workers have been slow to embrace a new government initiative entitled “Premium Friday” which has been conceived to encourage people to work less and spend more money. “Premium Friday” would allow workers to finish work at 3 p.m. on the last Friday of every month, and subsequently go out and shop, enjoy a movie or a museum exhibit, or perhaps dine out with friends and family. If employees across Japan participate in Premium Fridays, it is projected that private consumption in Japan would rise by approximately US$1.1 billion every month. However the first Premium Friday held on February 24th has been declared a failure, with fewer than 4% of Japanese workers participating. 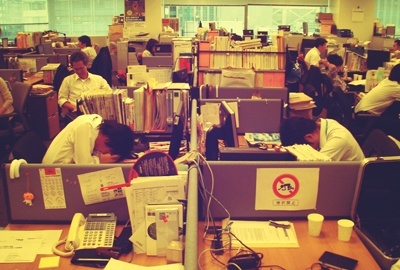 The main reason appears to be many Japanese employees are just too busy to leave work early. Premium Friday was envisioned as a way of addressing two fundamental issues in Japanese society: lacklustre consumer expenditure and what is professed to be a ethos of overwork. Generally, consumer spending in Japan has remained lethargic for more than 20 years, especially in the decade since the “Great Recession”. Though the OECD (Organisation for Economic Co-operation and Development) statistics display Japanese workers work slightly fewer average hours per year than many of their colleagues in other nations, there is the view that working hours are simply excessively long in Japan, and something must be done. I would suggest the key word here is “perception”. 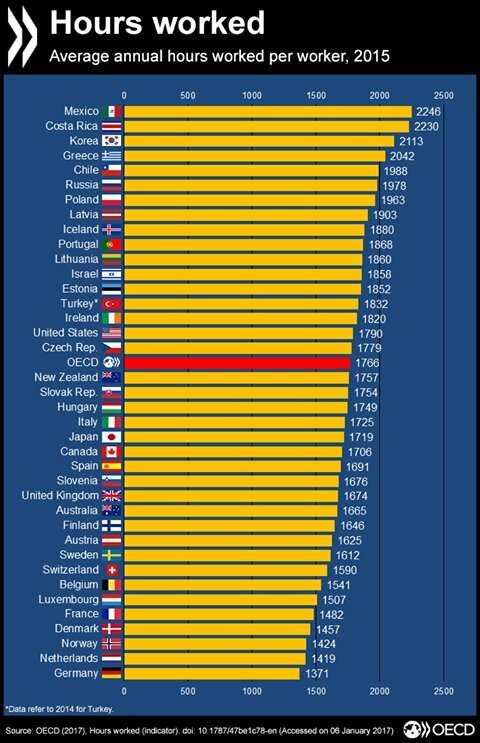 As shown in the graphic below Japan is by no means out of the ordinary when it comes to working hours. If anything they are below average. This may very well be the reason that Japanese employers have not taken to the concept of Premium Friday. A survey in February found that just 5.8% of businesses with more than a thousand employees had implemented a Premium Friday policy, while just 2.4% of companies with fewer than 100 employees were participating. It was noted on the first Premium Friday that, despite it being early evening, the lights were very much still on at Dentsu, one of Japan’s most significant white-collar employers. I think this initiative has more to do with encouraging people to spend more money than it does on reducing working hours. But, in my opinion, an economy that has been so long in the doldrums will need far more than a gimmick like this to bring it back to full speed. I have spoken before about the importance of the work/life balance and the importance of being able not only to recognize beauty when you see it but also to enjoy it. I hope in some small way my creations can help to create beauty in your home.